Cake is an essential for any party. 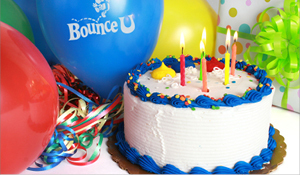 Order one of our custom baked cakes for your event and it will be freshly made to order and hand delivered to Bounce U. Each cake is incredibly fresh and delicious. They come in a variety of decorations and flavors. 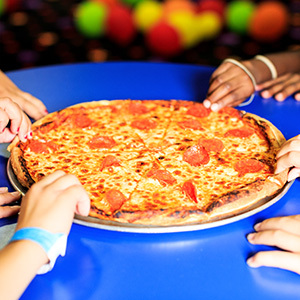 We can provide hot and delicious pizza delivered directly to your party. Each pizza is a Large 14" with Ten slices and you can take home any leftovers. 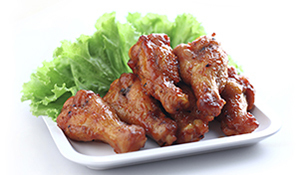 Chicken Wings or boneless chicken prepared in Plain, Spicy or BBQ sauce and Boneless Chicken with Ranch dipping sauce.. 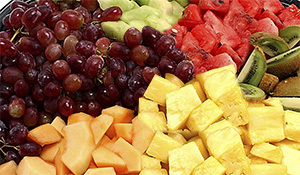 Choose one of our Fresh Seasonal Fruit or Veggie Trays for your guest to nibble on. 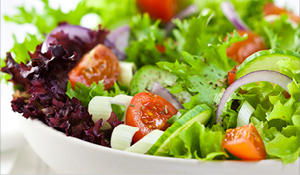 A colorful and healthy addition to your party. 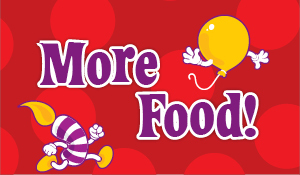 Bounce U offers additional food options to serve to your guest. All of our Birthday parties include a certain amount of drinks for the kids attending your party. 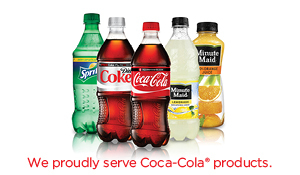 We are happy to provide additional Coke products to your party as well. Choose from Diet Coke, Coke, Sprite, Lemonade and Fruit Punch.